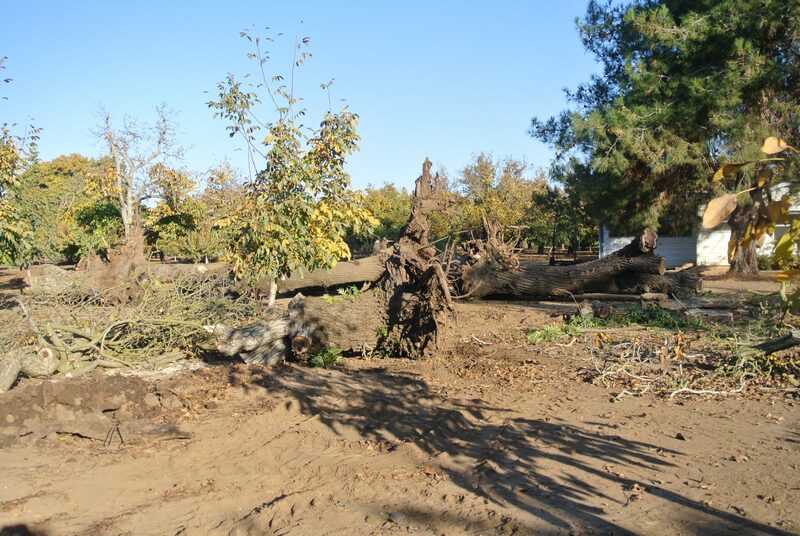 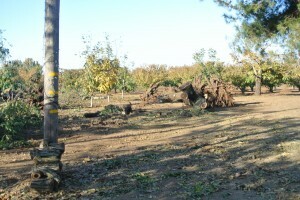 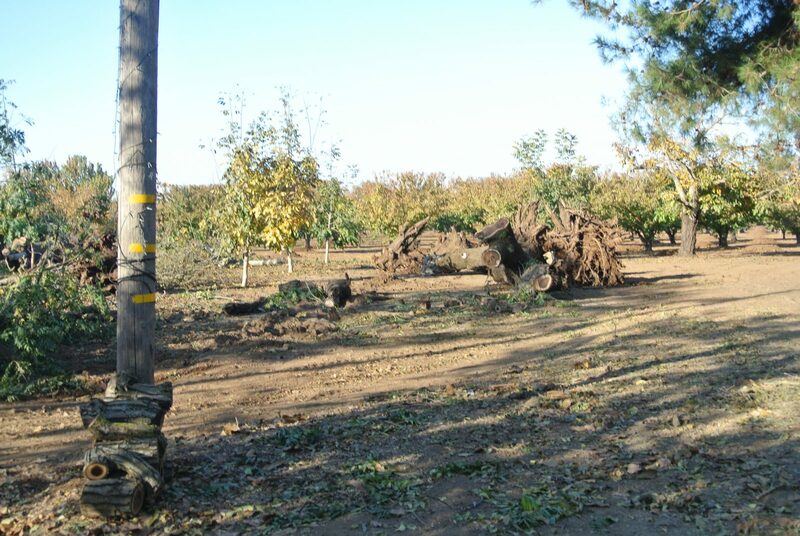 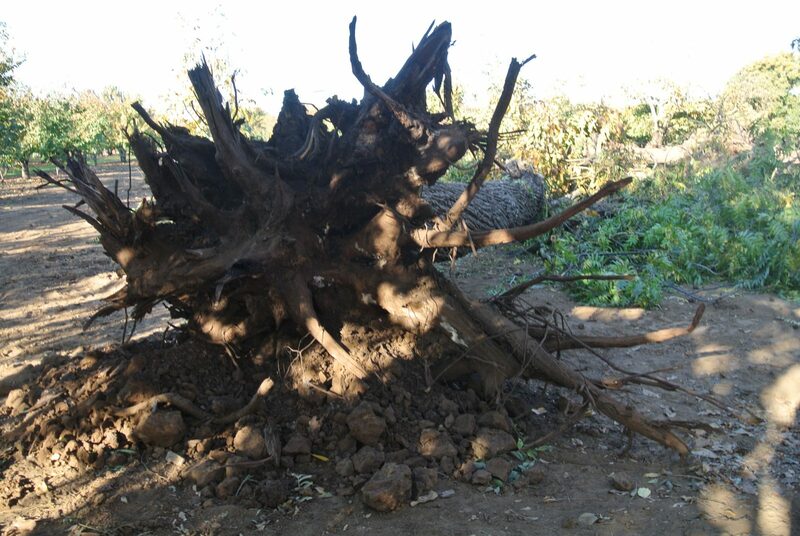 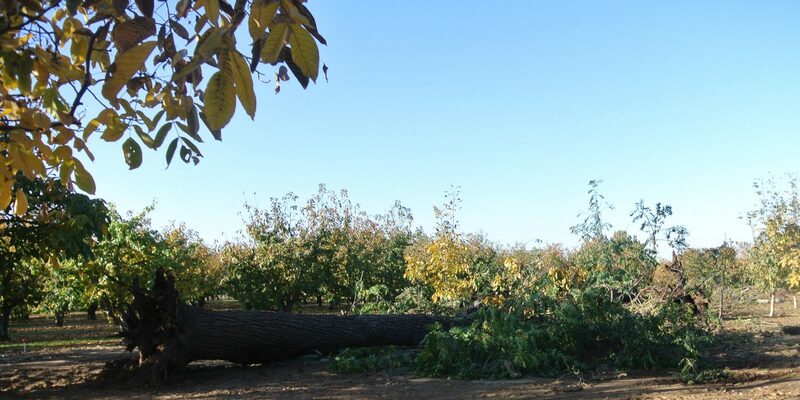 We received a call from a farmer who recently removed a small block of large grafted Claro/English Walnut orchard trees. The trees were removed due to old age and lack of nut production. 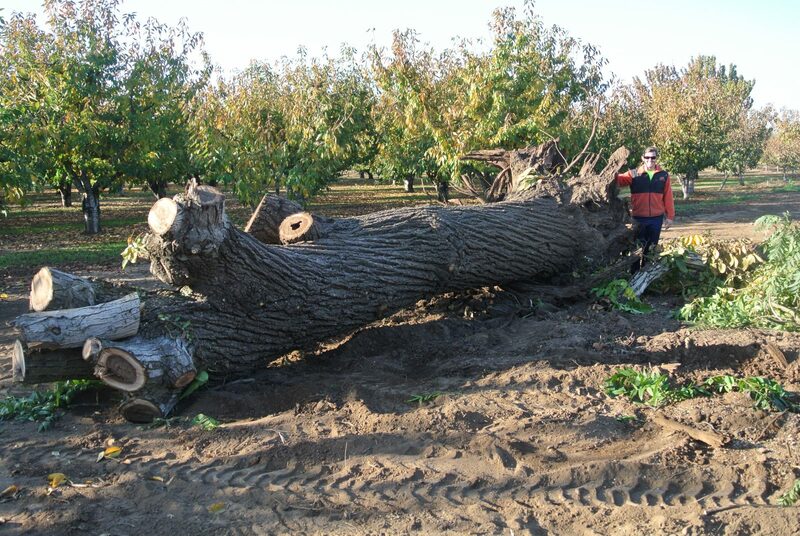 These trees were approximately 80 years old and were on the back end of life and production. 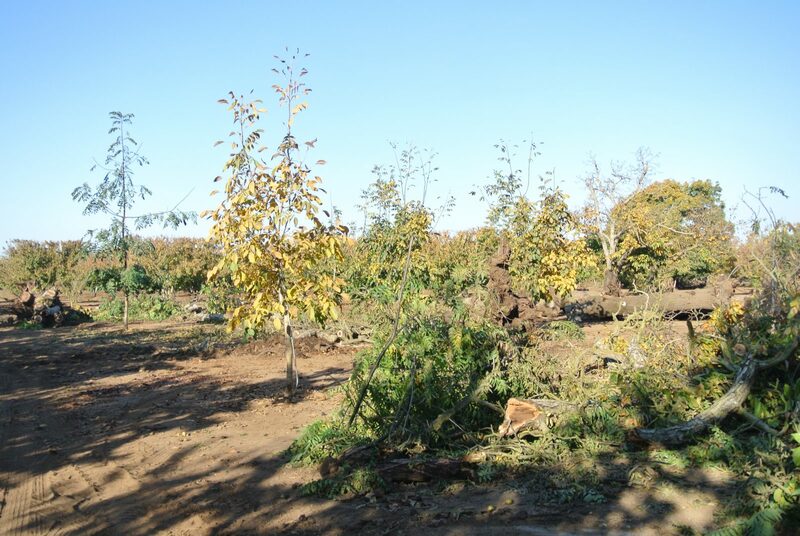 Now that these trees are removed, the farmer will plant more trees per acre and will gain a larger yield of nuts per acre then with the older trees. 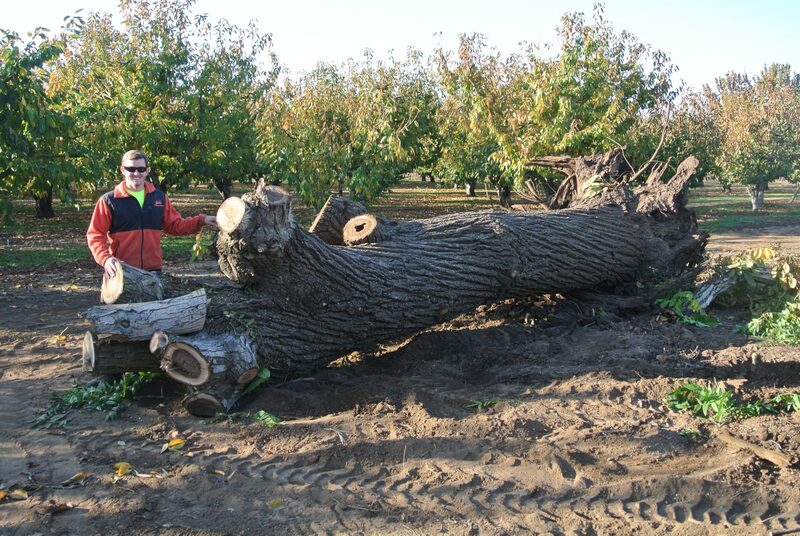 These were some of the longest grafted Claro/English Walnut orchard trees that we have ever seen. 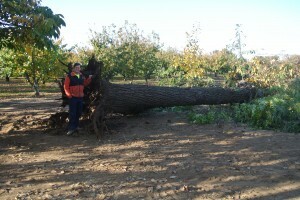 Two measured over 20’ long and 5 others were 16’ long. 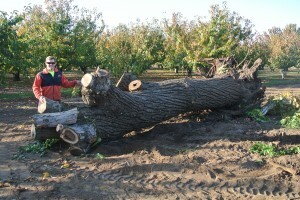 These logs will make fantastic slabs and lumber that will be used for bookmatching, bar tops, table tops and more. 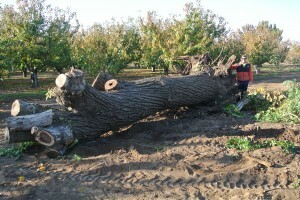 Learn more about Walnut wood.